Given Budapest's extreme cold, January isn't the most popular month for travel to the Hungarian capital city, which means you'll be able to enjoy entry into important sights without the press of fellow tourists. Landmarks such as the Fisherman's Bastion will be less crowded and therefore more enjoyable—if you can overlook the chilly nip in the air. Also, since January 1 is New Year's Day in Budapest and throughout Hungary, Budapest turns into a giant party on December 31, and many people will be recovering from Budapest New Year's Eve festivities on this day, so expect the city to be quiet and shops and sights to be closed. 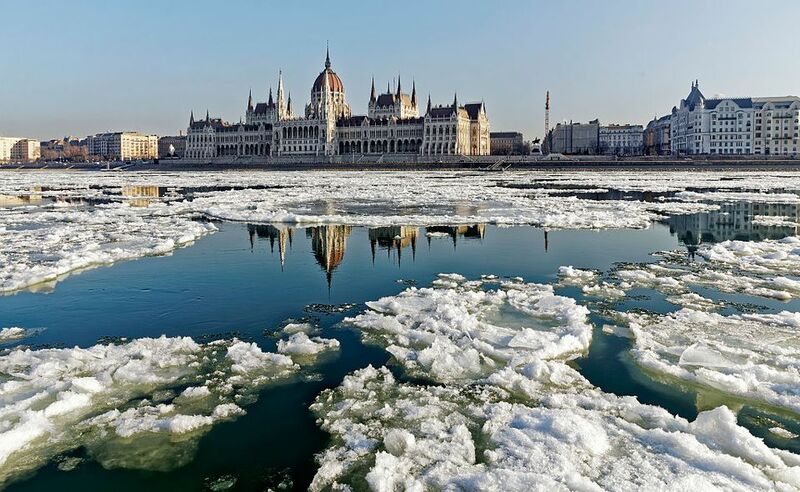 If you're planning to travel to Budapest in January, be sure to pack for winter conditions. Budapest is slightly warmer than other Eastern European destinations, with an overall average temperature of 30 degrees Fahrenheit (-1 degree Celsius), but it is still frigidly cold throughout January. Winter, which runs from December through March or April, is the country's coldest and gloomiest season. January is also the snowiest month—snowfall of up to 15 inches on a single day has occurred in the past. There are a number of seasonal events and popular attractions open in Budapest in January each year, but the most popular destination for Hungarians and tourists alike might be the thermal baths across the city. Check out Gellert Spa or the Szechenyi Baths in Budapest for a real winter treat. Budapest also hosts an annual Wedding Fair and Exhibition in late January, where you can see all of the latest in wedding dresses, decor, accessories, and destinations around the country at the Papp Laszlo Budapest Sports Arena. If you're okay with fighting the winter cold, you can always try ice skating in the city park or shopping January sales at Budapest shops—even after the Christmas Markets close January 2; many local shops offer special discounts in the off-season. You can also still check out many of the city's most famous attractions all month long including the Liberty Bridge, the Citadel on Gellert Hill, and concerts at St. Stephen's Basilica. The Gozsdu Weekend Market takes place every weekend in the city's party district. Vendors offer everything from antiques to local art. For many residents of Budapest, January is all about discovering fun ways to avoid the cold while soaking in the culture of the city, and one of the best ways to do this is to visit one of the many quirky pubs, bars, and restaurants in Budapest. The Hungarian State Opera puts on an incredible performance of the Nutcracker each holiday season—and luckily, the legendary ballet production typically runs throughout January as well. Visiting Budapest during winter means the opportunity to try some Hungarian culinary staples. Beigli (traditional Christmas pastry with walnut or poppy seed) is a must, as is lentil soup, which is traditionally eaten on New Year's Day. The city's name comes from the two sides of the town: Buda and Pest. The Danube River cuts right through the middle. Completed in 1849, the chain bridge that connects the two is now considered to be one of the city's most significant landmarks. Buda is hilly and much more traditional, whereas Pest is flatter and more modern. "Ruin bars" are generally the most popular among locals. Ruin bars were initially founded in Budapest around 2001 inside dilapidated buildings that were transformed into friendly dive bars where drinks are typically less expensive than elsewhere in the city. Szimpla Kert was the first ruin bar, but it relocated in 2004 to the Jewish Quarter of Budapest's seventh district. Visiting in January, you might find yourself too cold to stay outside, so you could also enjoy a coffee or warm pastry at one of the city's many cafés. These social hubs offer a respite from the cold where you can immerse yourself in conversation with some of the locals. Among the most popular of these cafés are My Little Melbourne, Printa, Tamp & Pull, and Espresso Embassy. Keep your core temperature up during your visit by taking to the waters at one of the city's 15 thermal baths and spas. The most famous are Gellert and Széchenyi Thermal Bath. To learn more about whether you want to visit Budapest in the winter, visit our monthly travel guide for the city.